No idea what you can do today? Because I’ve got a little but awesome tip for you… Especially when you love to score some good deals! Because today is the last day from the grand depot outlet in Antwerp. And correct me if I’m wrong but I thought that this started as an exclusive stock sale from Hunkemöller. 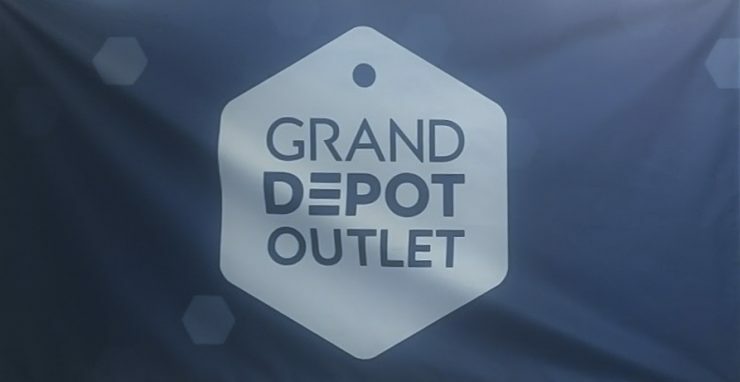 But now it’s not only for Hunkemöller because the grand depot outlet is even more! I was curious so I went to the expo in Antwerp! I already heard a lot of stories about the long waiting lines etc. So I decided to go early…. In the grand depot outlet in the expo Antwerp, you find namely everything from Hunkemöller. But in the other halls there were outlets from other big brands like ZEB, Salt & Pepper, Yong & Go Sport. You can find here everything from clothing, lingerie, nightwear till home accessories and much more from last season for little prizes. The main reason for my visited was of course the Hunkemöller outlet. And this is for sure worth it! There was a whole hall with only Hunkemöller stuff. So lots of bra’s, underwear, nightwear, swimwear and much more. There was enough choose. Everything was also good ordered and almost everything was hung on size. So it was easy to search for what you need. And they also restocked it often! So that’s great! From now on I’m going more to this outlet! I love to do such a lovely deals! I also scored a beautiful jacket in the zeb outlet! So I’m a happy girl! I read a lot about long waiting line at the cash desk. But it was not that long, I was in the line for 30min, that’s for sure ok! For this outlet you can register you beforehand for free. You need to do this! Because otherwise you will pay €5 entree. You can’t try anything on. So be sure that you know all your sizes! Wauw! Ik vind het een koopje! Wat heb je een leuke spullen geshopt, die sokjes vind ik ook zo schattig! Echt de moeite waard, ik begrijp dat je daar helemaal blij mee bent!